I made these bibs and burp cloths before I actually had Annabelle. I gave some as gifts and always wondered if they were good gifts or not. It’s hard to ask someone that you’ve given a gift to if they liked them. So, what do I think? I didn’t care for the burp cloths. 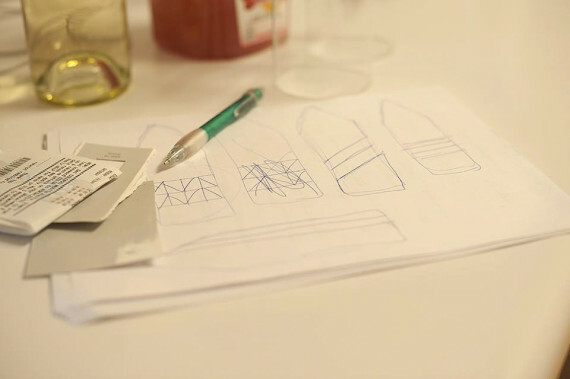 Partially because they were too small and partially because of the materials I used. I used batting and two pieces of flannel fabric. 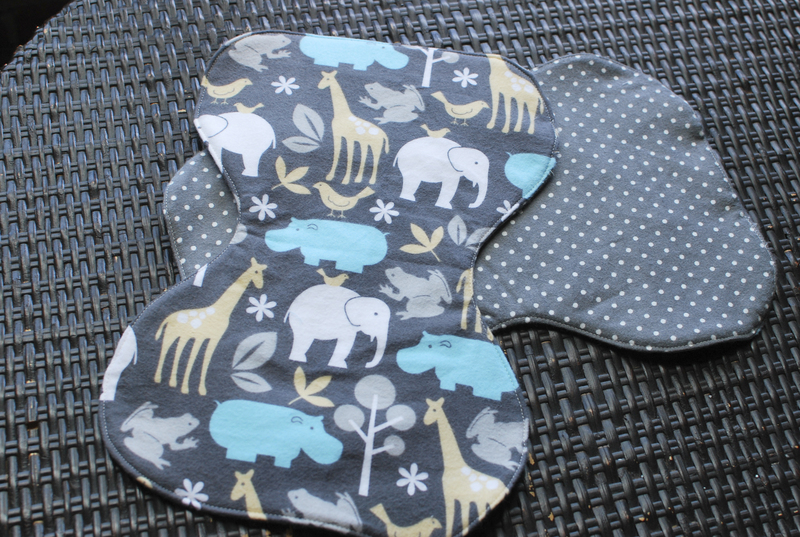 When I make them again I want to make them bigger and try different fabrics. Maybe a absorbent knit or terry cloth fabric next time and I would most definitely not use batting, it’s not necessary. Here’s a pattern similar to the one I used. I actually really like the bibs. I used a terrycloth fabric for the back and cotton or flannel fabric for the front. They’re a good size for Annabelle now that she’s starting to slobber and drool. They’ll most definitely be too tight in a few months and I’m not sure how they’re going to work when she really starts eating because they’re pretty small. Here is the pattern I used. 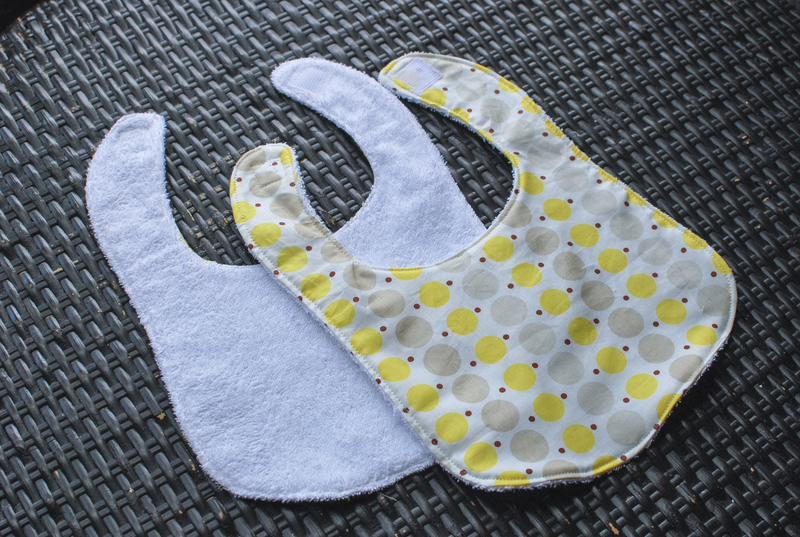 What’s great about bibs and burp cloths is that they’re quick and easy. I can make a couple during one of Annabelle’s naps. I’d love to try this pattern and this one too. 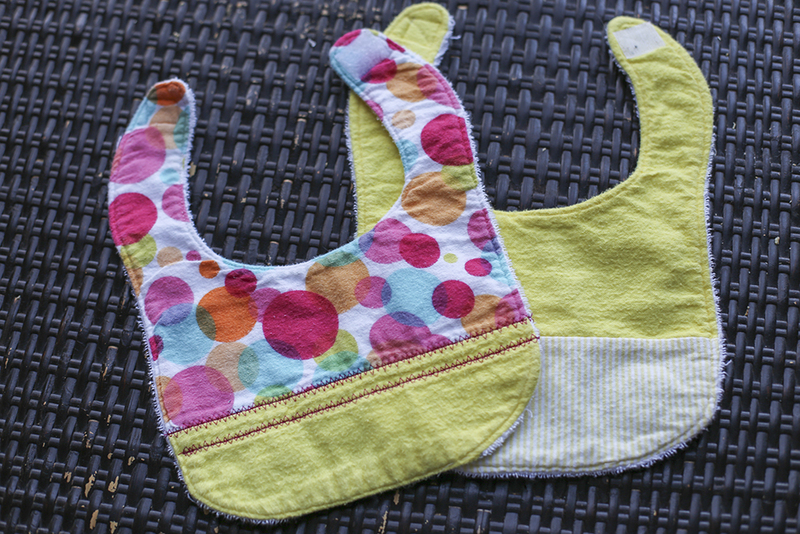 The ones above Annabelle uses and these have been washed several times! 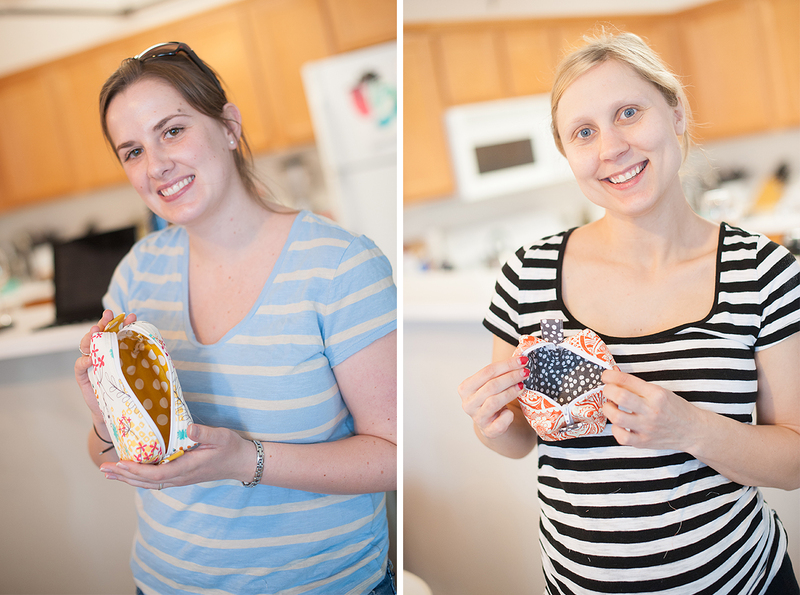 Beth and I co-hosted another sewing party and we had a successful day of sewing! There were four of us sewing and Keely stopped to say hi with her two little extra helpers. 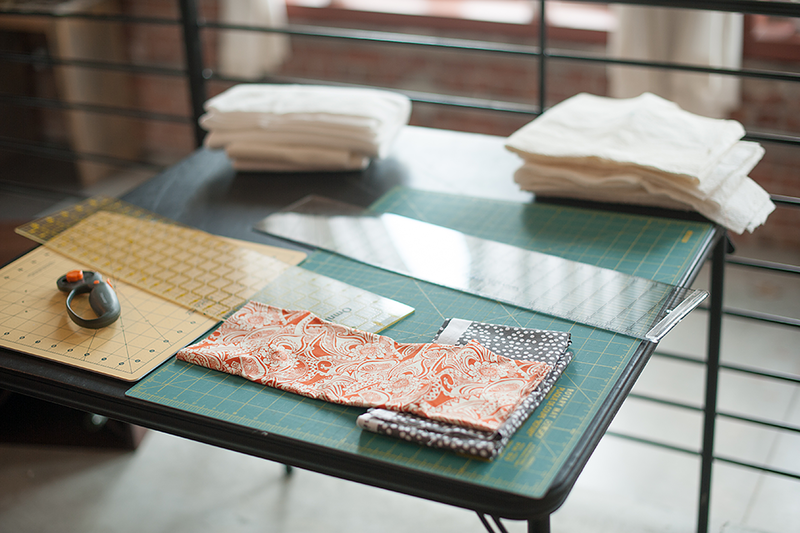 If you remember, last time we boxy zipper bags and this time around we made ironing board covers. 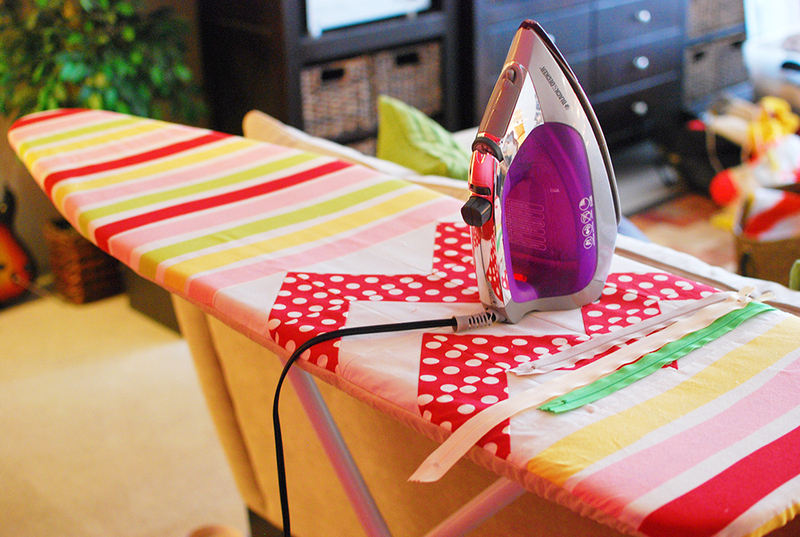 We set up our fabric station, cutting station, ironing station and sewing station with four sewing machines. 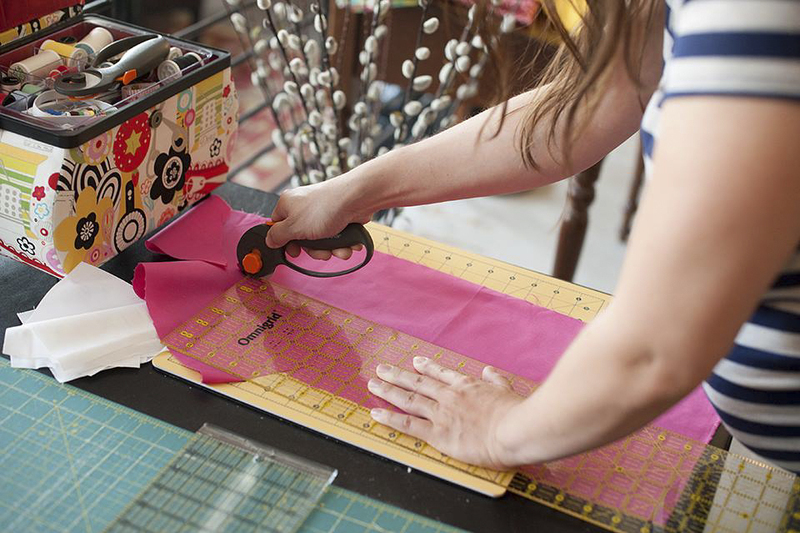 And again, Beth gets all the credit for a successful gathering because she was the one who showed us all how to make the ironing board covers. 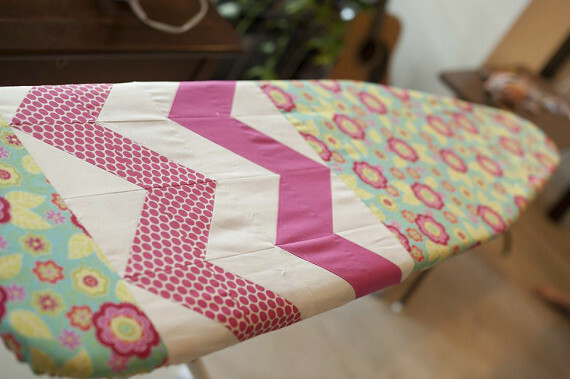 Ironing board covers are surprising easy to sew but with any sewing project, there are always easy mistakes to make and we made them! All of the pictures you see above were taken by Beth. 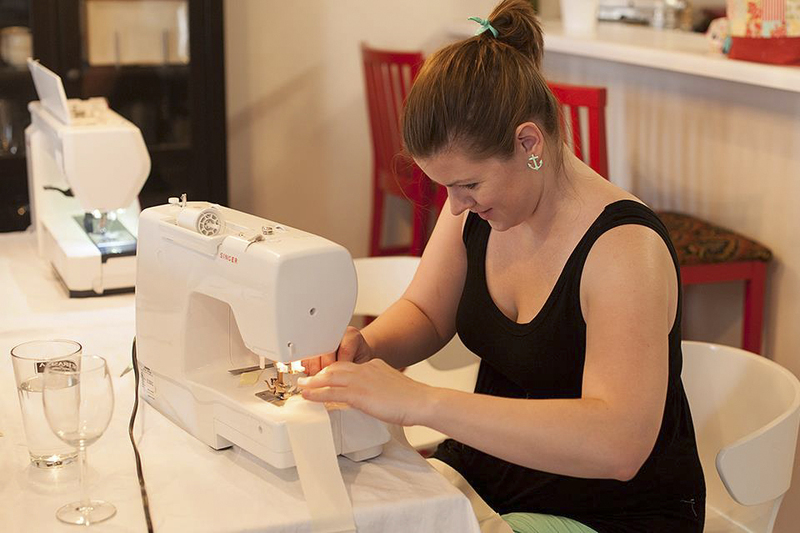 She’s a talented photographer and I wish I could have her take pictures of all of my sewing projects. 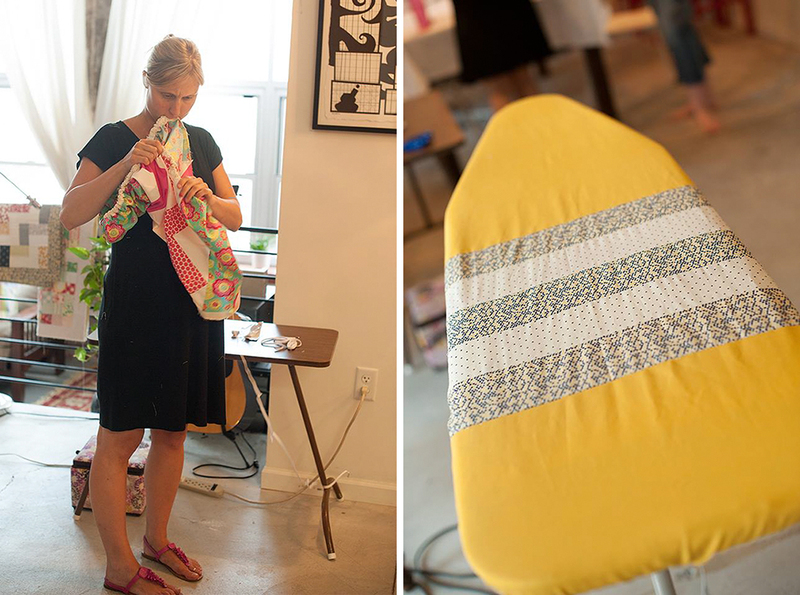 The last picture is the ironing board cover I sewed. Even before starting I knew I was making it for a gift and had the perfect person in mind so I picked colors and a pattern that I thought she’d like. I was happy it turned out so great! 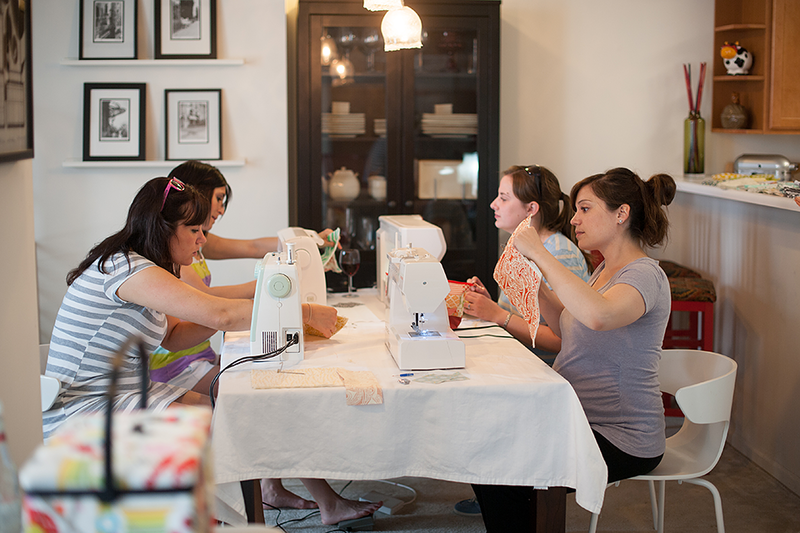 A few weekends ago a friend, Beth, and I co-hosted a sewing party for some our book club friends! 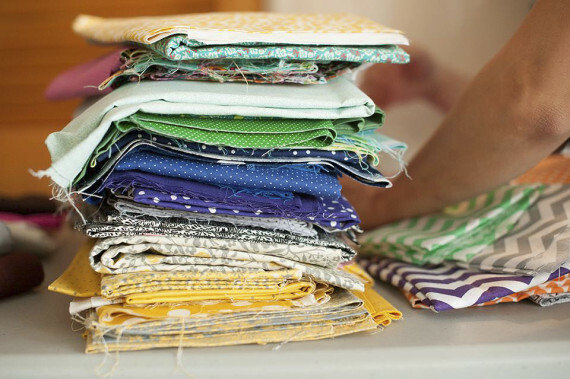 Many of you know how much I love quilting and sewing, in general, and I was happy to have a few friends say something like “let’s get together and have a sewing party!” A really good Saturday or Sunday for me looks something like this, me listening to an audiobook, half the living room and dining area filled with fabric and a sewing machine, and thread hanging from all parts of my body (similar to the photo of me above). I was so ecstatic that others were interested in this wonderful thing called sewing and was crossing my fingers it went well so maybe I could con encourage some of my friends to fall in love with this wonderful hobby. I think I succeeded!! 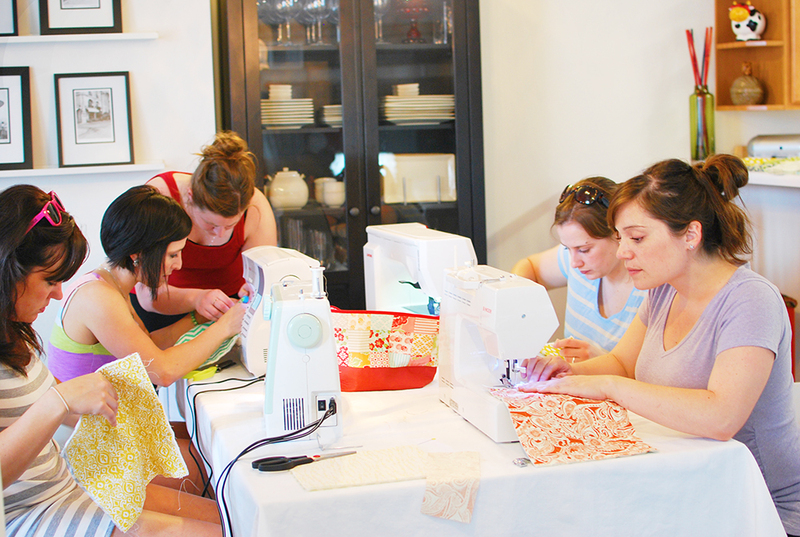 Five girls gathered at my place to sew Saturday afternoon. 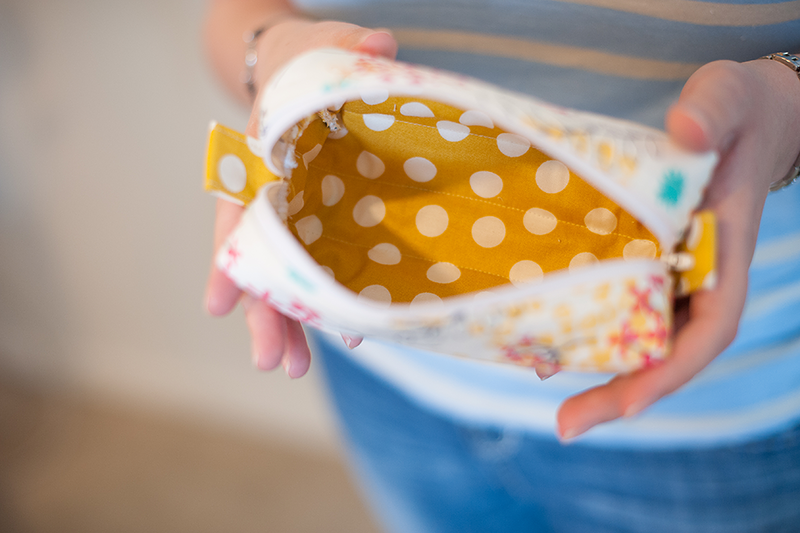 Beth suggested we make a boxy zipper bag because it’s easy and can be finished in an hour (or more if you’re chatty like us). 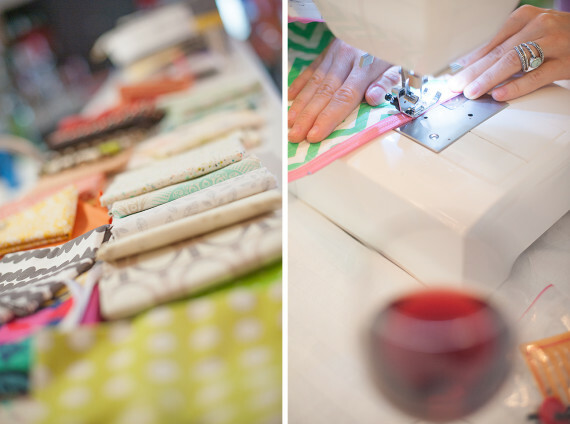 We had a fabric station, cutting station, ironing station and sewing station with four sewing machines as well as a food and beverage station. 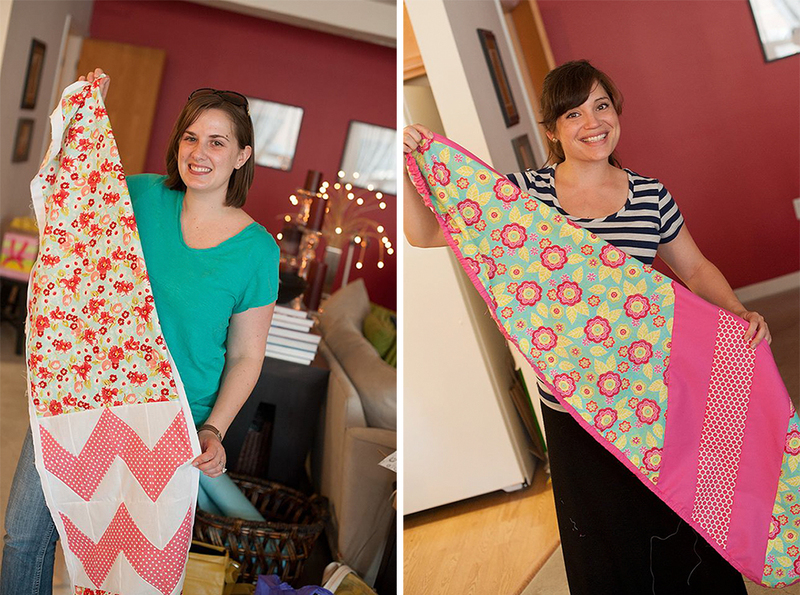 I really owe Beth the credit for a successful gathering because she was the one who showed us all how to make the zipper bag because I had never made this particular bag before. It was such a success that I want to have more sewing parties. I’ve gotten a little inspired by another blog that I follow who started doing something called a Meet + Make Craft Party. I’m not sure about inviting people I don’t know yet but I think inviting all of my friends who would be a lot of fun! Most of the pictures you see above were taken by Beth. She’s not only a sewer enthusiast but also a professional photographer who takes the most beautiful pictures. She took pictures of my nieces a few summers ago and the kids had so much fun!!! I love having a photographer and fellow sewer in book club!!! I’m learning so much from her. And a big thanks to Beth for the awesome ironing board cover you see in the picture above. 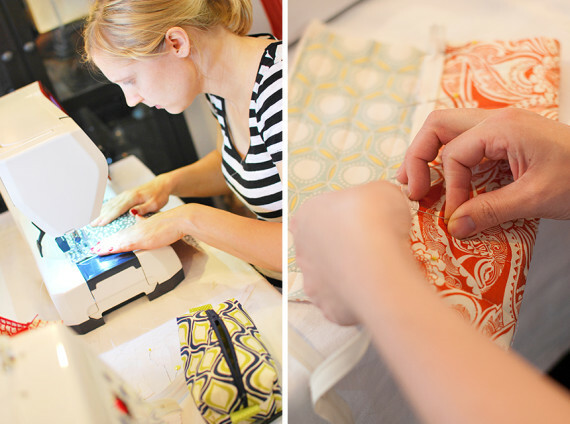 She said this is super easy to make too and might just be one of our next sewing party projects!! !